In art, as in life, the doing is everything. Well maybe not everything, but why sacrifice the strength of an aphorism for mere accuracy? Besides, without the doing there is nothing to hear, watch, look at or read, and certainly nothing to criticise. Before the doing comes the dreaming. Dreaming is vitally important – it’s hard to imagine an artist that doesn’t dream and fantasise about making art! Dreams are not only important; they are real. Crucially, however, they are only real to the dreamer. In the jargon of metaphysics, dreams only have “first person ontology”. Now, as anyone who’s ever tried it knows, making one’s dreams real for other people, giving them a third person ontology, can be really hard work. Sometimes it’s impossible. Giving artistic fantasies third person ontology requires not only technical skill; it requires willpower. Willpower is actually far more important than technical skill. The world is full of talented people with incredible artistic fantasies and the world is full of people with great technical skill. What distinguishes the “real” artists from all the rest is willpower – the willpower to take something that begins as a dream, as a mere idea, through the stages of conceptualisation, planning and execution required to give it a life in the big wide third person world. Everyone’s a critic. There’s a truism for you, and it is true. We all love to criticise. It’s common to hear people say “I could have done that” when considering a piece of art (be it visual, musical etc.). Of course the full sentence should be “I could have done that if I’d been willing to put in the time and effort required.”….but no one bothers with the second half. It’s a mistake to compare our first person fantasies with someone else’s completed artworks. It’s apples and oranges. Criticism is the act of drawing comparison, of comparing one work to another. Art is not a competition (the truisms are flying thick and fast now); so do we really need criticism? Ideally, each piece of art we encounter should be considered in isolation; judged on its own terms. In practice, however, this can be tricky. Works of art are always in competition for our time – why listen to this, when I could be listening to that? Unfortunately the industrialisation of art has created an additional kind of competition – for our money. Nowhere is this more obvious than in the music industry, but it’s the same for books and films and also visual art to a lesser extent. There are even entire art forms that seem to have lost out in the competition for our dollars – for example it’s almost impossible to make a living these days as a poet. In some senses criticism is a misguided process from the get go, but it might be a necessary evil. In a world in which we are constantly bombarded by art, criticism plays a role in giving us an idea about where to spend our limited amounts of time and money. This is important, but it is a tool that must be used appropriately. The role of a critic should not be to tell us what to like, rather it should be to tell us where to look for things we might like. We can make up our own minds about the rest. If we concede that critics are necessary, who should be one and how should they operate? Firstly, as already noted, everyone is a critic. This is not entirely illegitimate because the first thing to note is that criticism is just a matter of opinion. It’s a form of “word of mouth”; so “everyone is entitled to an opinion” (truism number three). It’s obvious (if slightly controversial), however, that not all opinions are created equal. There are any number of variables that can affect the value of a critic’s opinion to us, including the knowledge base of the critic about the art form in question and the critic’s level of awareness of our own tastes (our friends probably know more about what we might like than some professional critic who doesn’t know us from Adam). Perhaps the single most important criterion for effective criticism is receptivity. This is to do with how the would-be critic approaches the artwork in question. This is where things get really tricky, because to be truly receptive one has to banish all thoughts of criticism from one’s mind. “Honest” art is created for “ideal audiences” (I just made that truism up on the spot). Ideal audiences give a work their full attention and consider it on its own merits. Contextualisation can occur after the fact, but if you’re composing your critical analysis in your head during your initial exposure to an artwork then you’re not being receptive. Obviously this is tough. It’s a “big ask”. It’s not easy to be an ideal audience member. It’s not easy to “really” listen, watch or contemplate. You have to make yourself open, vulnerable – it’s a form of meditation. This may seem harsh, but if you haven’t tried to be an ideal audience member then your opinion isn’t going to be worth much as a critic. One might imagine that artists, “doers” themselves, would make the best critics. In practice this often seems not to be the case. Artists often (subconsciously perhaps) make the cardinal error of seeing other artists as competitors and this severely compromises their ability to be an ideal audience member. 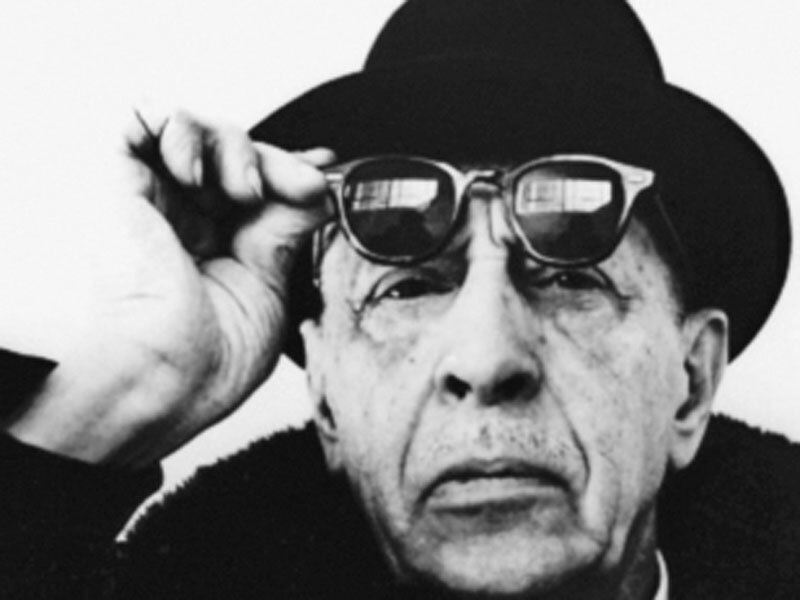 Stravinsky apparently didn’t take his own advice about listening (admittedly he never said to listen impartially, but I’m not sure there’s any other kind of listening) and a book could be filled with the silly things he said about other composers. It’s telling that he rescinded many of these statements in his later years, often after the other composers had died (cf. statements about Arnold Schoenberg and Bela Bartok) and there was no longer any question of “competition”. Great artists have a unique insight into the artistic process of course, and so their opinions do have a certain validity. If an artist you respect praises the work of another artist then it’s probably worth checking it out. Just because an artist you respect denigrates the work of another artist, however, doesn’t mean you should expect it to be devoid of value. Is it possible to be an ideal audience member all the time? Probably not. At any rate it’s exceedingly difficult. What this means is that we shouldn’t be in such a rush to form an opinion about a work of art. Sometimes we need to give it time to sink in. We need to be sure we are making the requisite effort to appreciate the work on its own terms and we need to be ready to fault our own appreciation before faulting the work. All this may seem like a waste of time and effort. With so much art available, many of us demand art that doesn’t make us work to understand it. We often seem to want art that grabs us immediately and forces us to appreciate it, not art that makes counter-demands of its audience. This is our prerogative. In my own experience, however, the rewards of learning to appreciate demanding artworks often dramatically outweigh the effort required in doing so. The truth is that everyone is qualified to be a critic but no one is really qualified to be a critic. The point of this article is that we should generally criticise less and celebrate more. Sure, we have our opinions, we like some things and we don’t like others, but before we make decisions and shout our verdicts from the rooftops we should always pause to first celebrate the achievement that giving a dream third person ontology represents. We should have respect for that act of will. We should try to see the work for what it is; there will be plenty of time for contextualisation after-the-fact. I myself am a naturally critical person, but my first impressions have been wrong so many times in the past; often because I failed to live up to my “responsibilities” as an audience member. These days I’m trying to be less critical and more celebratory and I believe we can all benefit from taking that approach. 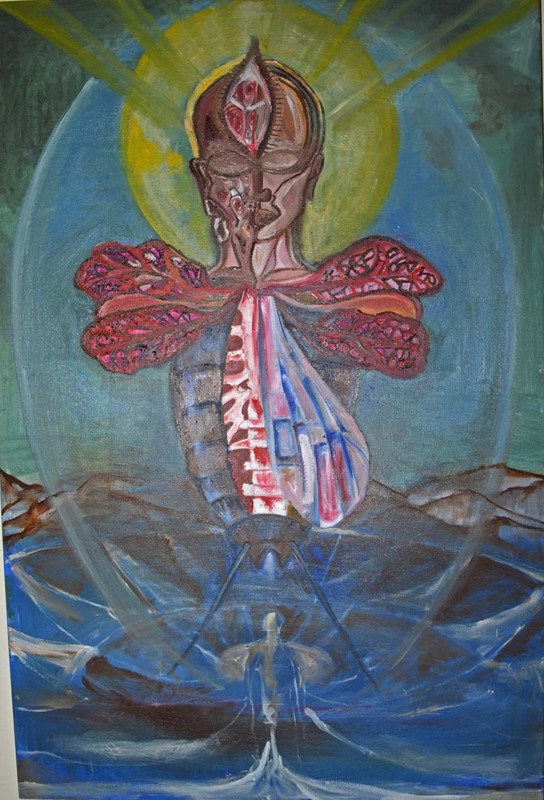 The first is my wife, Genevieve – the untitled painting in the article above is by her and (perhaps – the interpretation is mine) depicts the struggle of giving a dream a third person existence…..a process a little bit like dissecting one’s own soul. Gen is a serious artist and a real inspiration to me; she has an exhibition of her paintings (“lighter” works like the one that features in my header) in a gallery in Brisbane, Australia next month.